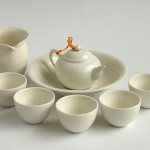 Last year, we have brought this tea set from Taiwan with an intension to try it out first on our journeys. After nearly one year we can say we have had many beautiful moments with it, visiting mountains, rocks, forests or parks in all coners of our country, as well as in abroad. Believe i tor not, not a single piece was broken, neither in wilderness nor in city parks. The tea set has proven itself. 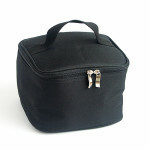 Therefor, we are happy to introduce it now a to our e-shop. 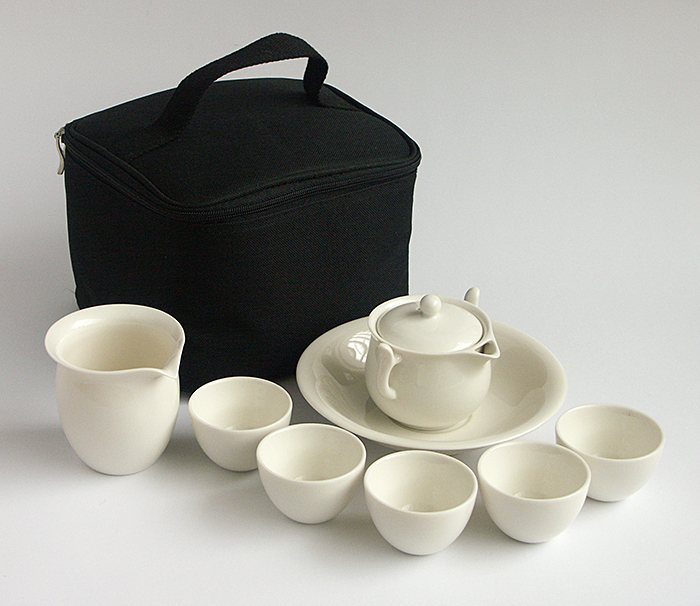 Very solid and washable surface of the bag, robust bracing and stuffing, porcelain items fitting perfectly, this all will ensure safe transport of tea set even to the middle of wilderness. 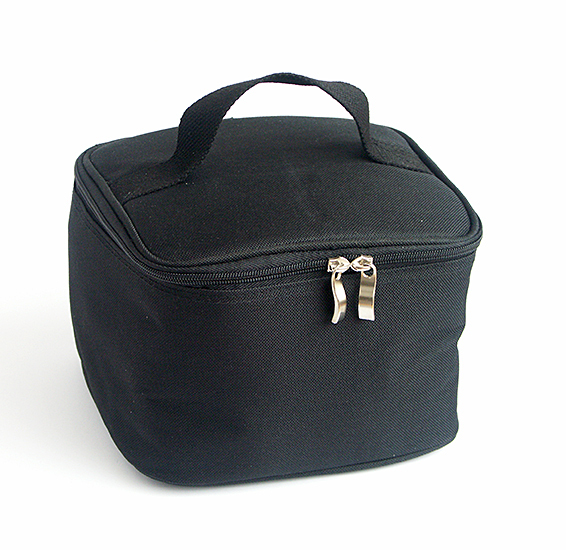 The bracing is fixed by a velcro fastening, so you can adjust it yourself. 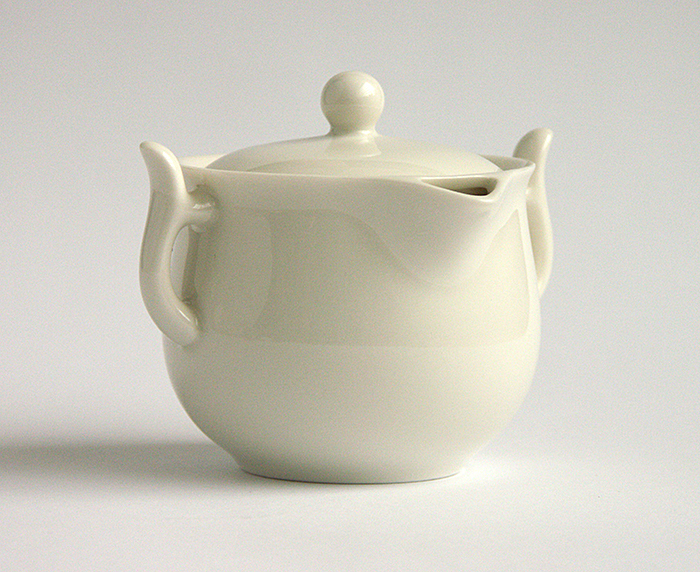 Very delicately and precisely made teapot from ivory soft Taiwanese porcelain. 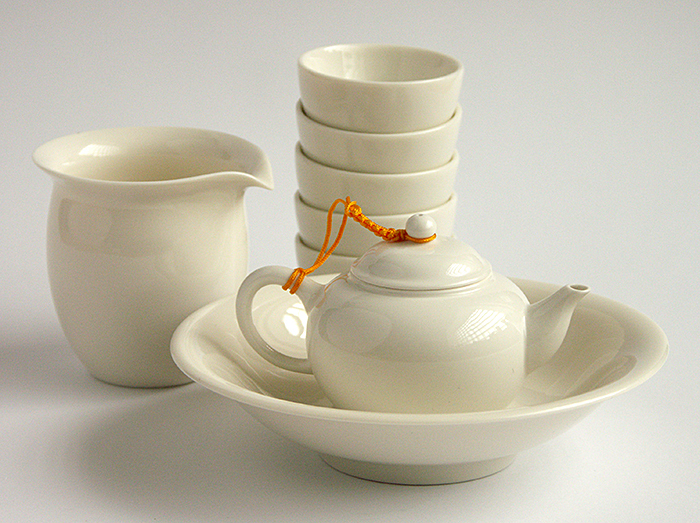 This elegant teapot resembles a Japanese houhin or Chinese gaiwan, i tis modern and easy to use. 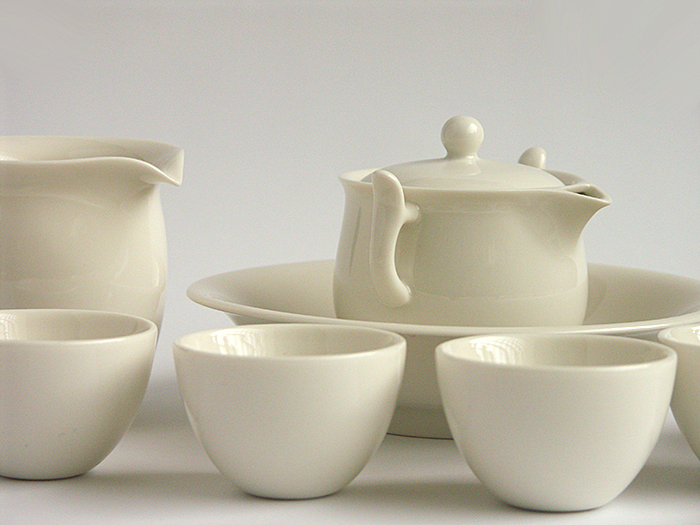 Two porcelain handles fit perfectly for a thumb and middle finger, while we hold the lid by index finger. 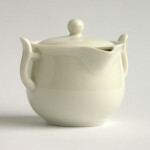 The opening is big enought to check and smell the tea leaves inside, it enables easy cleaning as well. 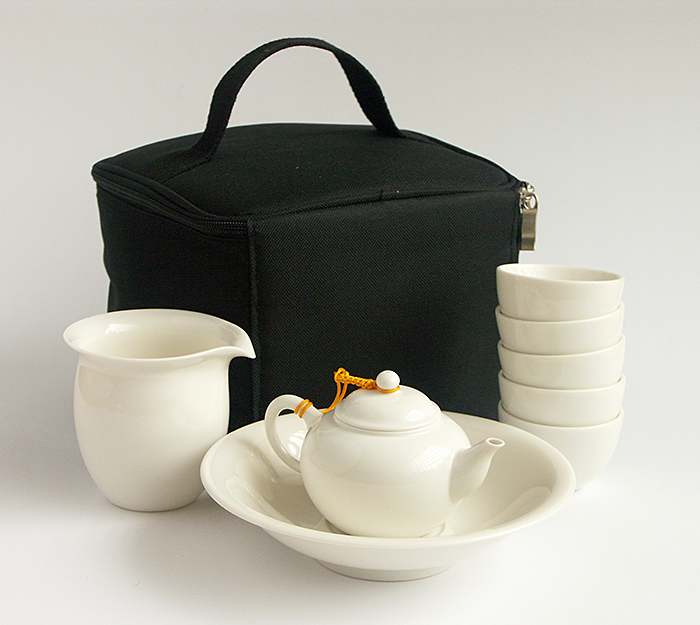 The teapot has a separate wrapping. 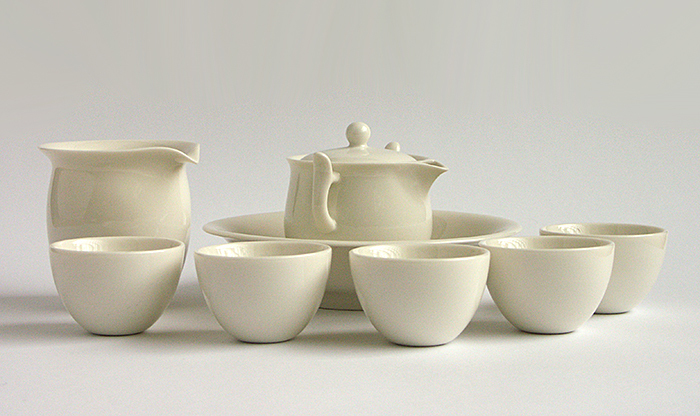 Practical small jar ispracticall for serving tea to more than one guest. 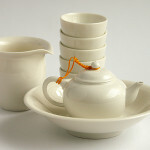 We first pour the tea from a teapot to the jar and then we serve it to guests. 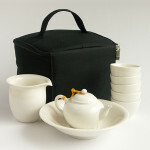 Like this we ensure that everybody gets a tea of same strength. 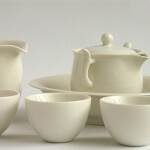 In traditional tea countries such as China or Taiwan, small cups are used for savouring tea as much as possible. They say tea tastes better in small sips. Tea also cools down faster to a pleasant temperature. 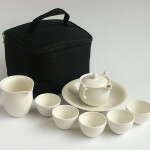 The cups are quite robust and heavy and easy to hold also in hands that are not used to this size. 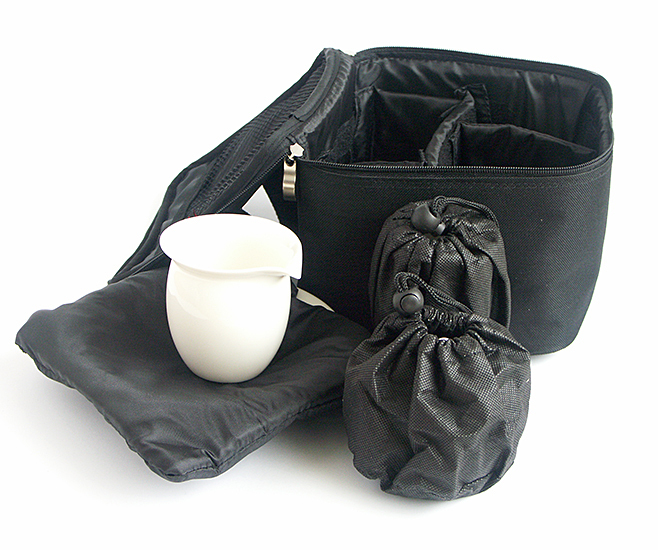 Cups are wraped in a separate sack. 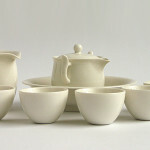 These small „plates“ are a practical replacement for bigger tea tables or trays. 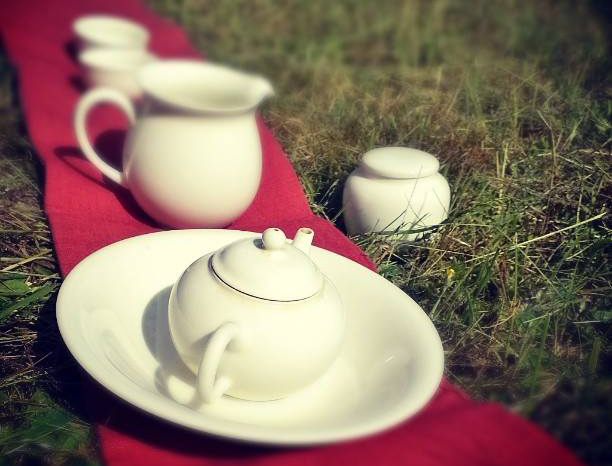 Teapot sits elegantly in the middle and you will avoid unnecessary stains and small puddles on your table cloth. 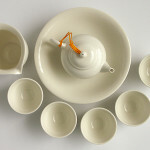 As a present you will fing 50 g of Four Season Oolong added to the teaset. 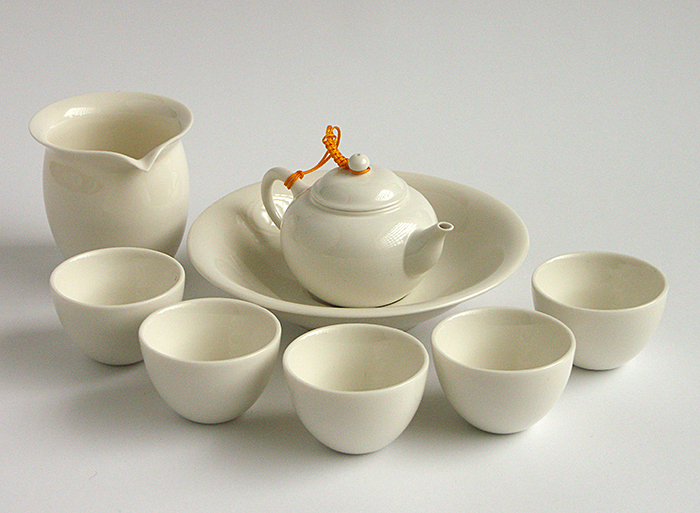 It is a moderately oxidized Taiwanese oolong from Si Ji Chun cultivar. It literally menas Four Season Spring (four seasons, though still spring). The actual meaning points out the quality of this cultivar, that tea leaves can be picked even 6 times a year while still keeping the flavor of spring tea. 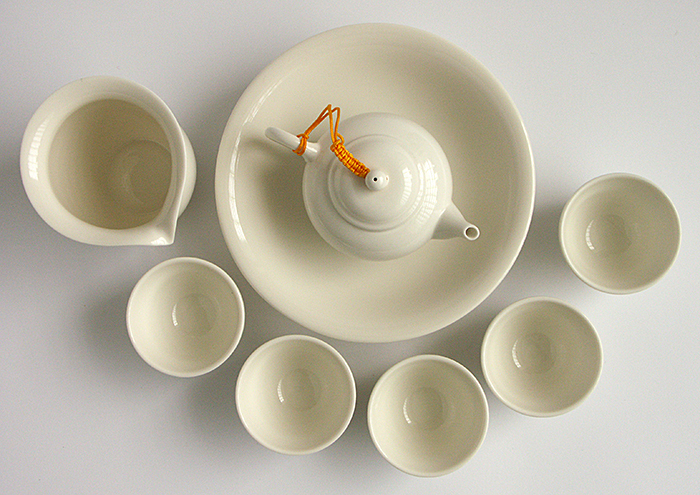 Four Season oolong has a fresh, vivid, flowery aroma. Surprisingly distinct aromatic tea with fresh tones of jasmine and lilly of the valley. It´s drinking is amusing and refreshing.